After last week`s fast-paced gorefest, you might expect Raimi and co. to slow things down a little, let us get to know the characters a bit more. But no – Raimi knows exactly who his audience is, and we`re all plenty familiar with who, exactly, Ashley “Ash” J. Williams is (bet you didn`t know his last name!). And to be honest, who really needs to know Ash beyond his smarmy smile, his rock-hard chin, and his ridiculous one-liners? Click through for my take on Episode 102. It’s been more than thirty years since a group of teens/twenty-somethings went camping in a cabin out in the backwoods, where they found a copy of the Book of the Dead, only to awaken something; something…evil. Now, the sole survivor of that group, Ash, has inadvertently reawakened that same evil, and he’s the only one that can put things right. 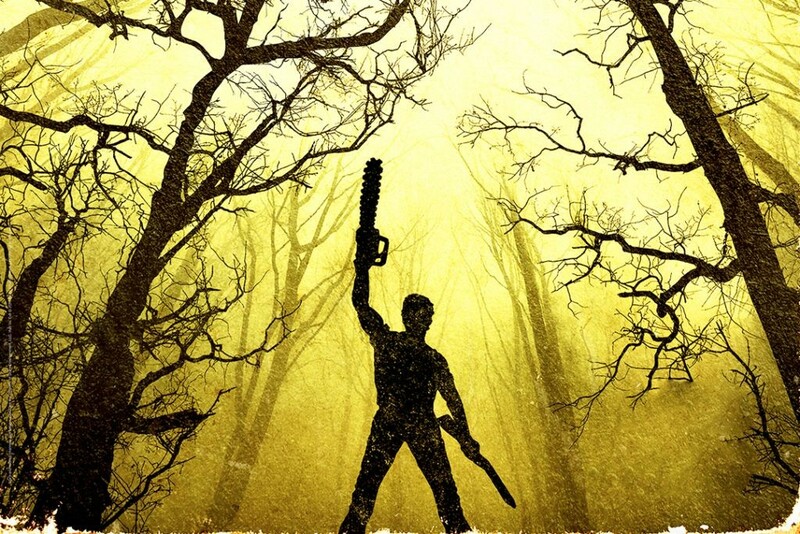 The two Evil Dead movies, along with their sequel Army of Darkness, have developed a strong cult following over the last thirty-four years, and given near godlike status in nerdom for the star of the three films, Bruce Campbell. That he and Sam Raimi (the director of the films) have decided to resurrect the story after all this time speaks volumes to the story – and the character’s – ongoing popularity. Tonight saw the premiere of the new series based on the films – click through for my full review.